Welcome to another installment of If My Book, the Monkeybicycle feature in which authors shed light on their recently released books by comparing them to weird things. 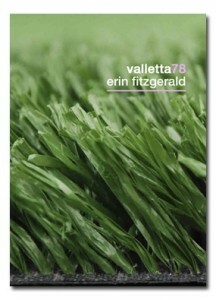 This week Erin Fitzgerald writes about her new novella, Valletta78, out now from Outpost 19. 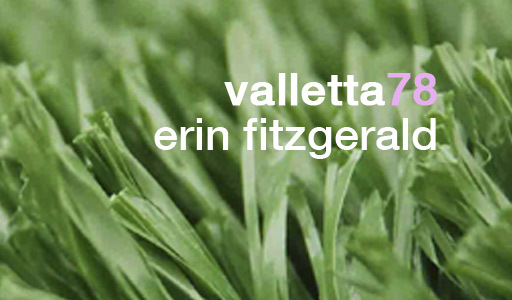 If Valletta78 were in your shoebox full of Valentines in third grade, it would be a carefully labelled envelope with nothing inside. All of your classmates’Valentines and envelopes would be there, too. If Valletta78 were a familiar moment, it would be when you look at your reflection in a window at night, and don’t realize who it is right away. Or it would be when you peer into the reflected room, and wonder what is on the other side of that door. Justin Bieber thinks Selena Gomez is Valletta78. But Selena Gomez knows she is definitely not Valletta78. If Valletta78 were a Yankee Candle, it would be labelled Winter Rain, but you’d smell it and realize it’s also Autumn Sunset. If Valletta78 was Chex Mix, your guests would wonder if it was homemade or if it came from a bag. If Valletta78 were a Sesame Street character, it would be Sully. Everyone knows there’s a Sully, right? Is Sully a monster? Don’t spend a lot of time trying to remember. If Valletta78 were an eBay item it would be labelled “new in box,” but it would arrive and even though the box is original, you know it’s not the box that came with Valletta78. If Valletta78 were a pancake, it would be heart-shaped and made with a cookie cutter—the crispy edges left on the counter for the cook to eat later. If Valletta78 were a household chore, it would be changing the smoke detector battery the one time you opened the plastic cover and a dead mouse fell out. If Valletta78 were a contestant on The Voice or American Idol, it would hold its smile until the half second before the commercial break. Erin Fitzgerald is Online Editor for Barrelhouse and a staff reader for SmokeLong Quarterly. Her stories have been published in many of her favorite online journals. She watches television on Twitter as @gnomeloaf. Find out more at erinfitzgerald.net.